Nobody said marriage was easy. Navigating some of life’s hardest challenges with another person can be difficult, especially when it involves finances and the burden of debt. This is only made worse by the fact that, on average, young people are burdened by even more debt than previous generations. What this translates to is more complications, more fights, and more divorces. For this post, we’re talking about the ways in which student loan debt continues to impact marriages across the nation, as well as covering a few ways that can help you and your partner maintain a strong relationship even in the face of financial adversity. The costs associated with higher education have skyrocketed, currently sitting at all-time highs. 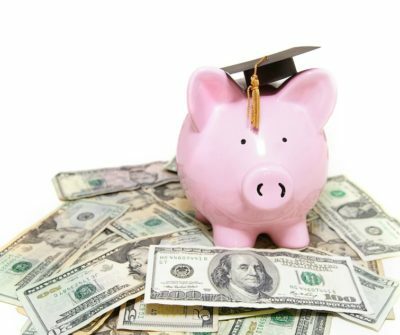 Despite that, a college education is still a must-have for many professional career paths, meaning that people simply have no choice other than to borrow money for school. On average, college graduates carry around $34,000 in debt, and over 44 million Americans currently carry a student loan balance. This adds to the stress of marriage in a variety of ways. For one, high debt burdens makes it difficult for young people to kickstart their marriage properly. They might have to borrow money for wedding and honeymoon expenses, are often unable to purchase or own a home, and are in general much more constrained with their budget than those who don’t have any student loans to pay back. Not only that, but financial woes complicate marriages in general, and arguments can become a frequent occurrence. Couples often begin to resent and blame each other when tough financial times hit. Tack on credit card debt, car-related debt, and medical bills, and it’s clear that the outlook for young married couples is a grim one. What Steps Can We Take to Protect Our Marriage? With smart planning, a proactive approach, and a willingness to work with one another, a marriage saddled with student debt can continue to prosper and thrive in the face of potential financial struggles. We at the Law Offices of James P. White hope that you found this post enlightening. To learn more, remember that our skilled divorce attorneys are always a quick call away. We offer no-commitment, zero cost consultations, so don’t hesitate to call today!